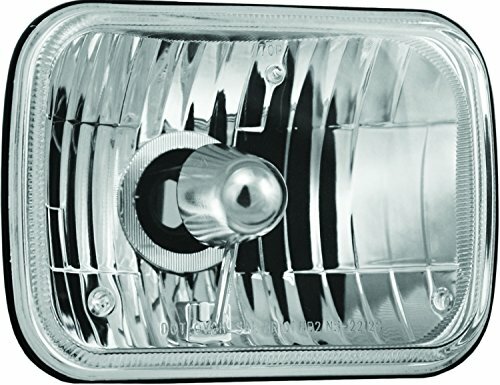 This is a set of H6054 sealed beam replacement lights. 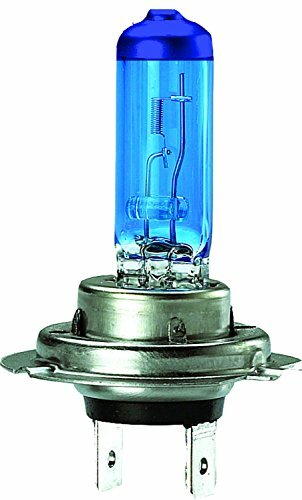 It takes VX-LH4 replacement bulb with a die-cast aluminum housing. This product also has a glass lens. The Vision X 4.5 inches Cannon CTL-CPZ110KIT features a 25 Watt LED technology, a spot beam pattern that offers you a focused amount of light with great distance, and black aluminum poly carbonate housing. 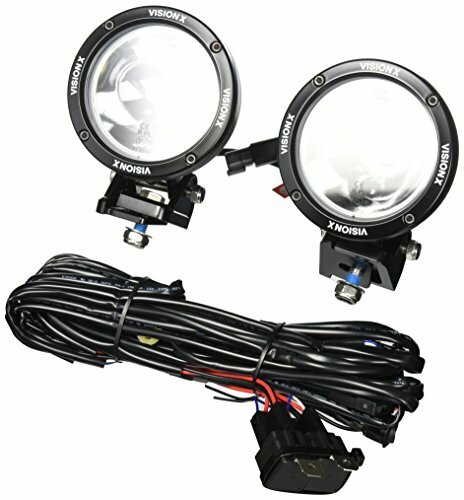 The CTL-CPZ110KIT comes standard with an extended warranty, harness and multi-volt 9-32V DC input. This light weighs 2.02 pounds and offers a mounting depth of 4.36 inches. 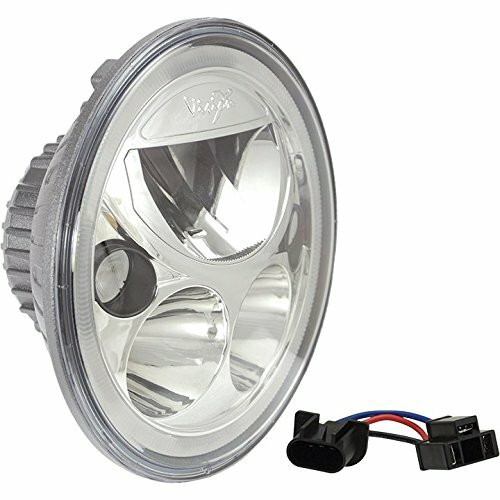 The Vision X 7” round XIL-7RD is DOT approved headlight replacement, it has three different beam options high, low, halo. The XIL-7RD comes standard with an extended warranty, and multi-volt 12V DC input. This light weighs 2.2 pounds and comes in chrome and black chrome. 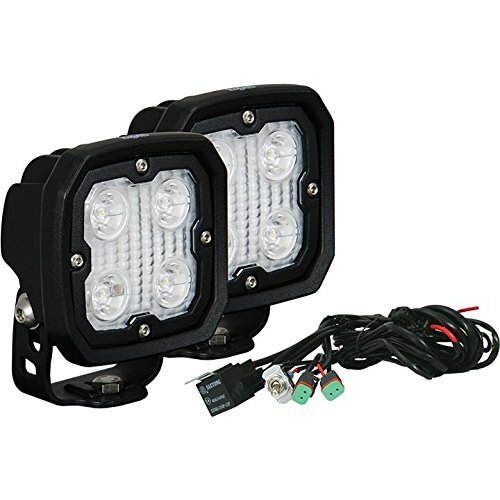 The Vision X 3.93” square DURA-410 features 5 watt LED Technology, a flood beam pattern that offers you a wide amount of light with not as much distance, and black aluminum housing. The DURA-410 comes standard with an extended warranty, and multi-volt 11-65V DC input. This light weighs 1.50 pounds and offers a mounting depth of 1". The Vision X 7” round XMC-7RD is DOT approved headlight replacement, it has three different beam options high, low, halo. The XMC-7RD comes standard with an extended warranty, and multi-volt 12V DC input. This light weighs 2.2 pounds and comes in chrome and black chrome. The Solstice Prime LED Light Bars powerful design and prime drive technology make Solstice Prime everything you need and more. And with a 50000 hour lifespan, PWM dimmability, and electronic thermal management all with extremely low amp draw, the Solstice Prime from Vision X is the most advanced LED light bars on the market. Being manufactured from extruded 6061 aluminum, the Solstice Prime is tough enough for all conditions. The front has the ultimate protection of an unbreakable polycarbonate lens and with an IP rating of 68, the Solstice Prime is totally protected from dust and is protected against long periods of water submersion under pressure Solstice Prime will do everything you need it to, no matter what the weather conditions are. The Vision X Solstice Prime Series is the lighting solution for the brightest, longest lasting, and most durable light on the market. The Solstice Prime is available in 2 inches and 6 inches round and 4 inches square housings, as well as in 20 degree; narrow and 40 degree; wide optic patterns. With available battery packs and available accessories for the Solstice Solo, the 2 inches Solstice Prime can mount on bicycle handlebars, helmets, and more. The 4 inches and 6 inches boast a shallow mounting depth to make mounting easy. The Vision X 12 inch square XIL-LPX910 features Prime Drive Technology, a narrow beam pattern that offers you an even tighter beam pattern for great distance, and black aluminum housing. The XIL-LPX910 comes standard with an extended warranty, and multi-volt 9-32V DC input. 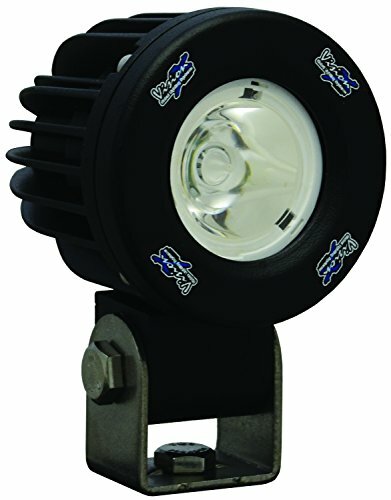 This light weighs 2.84 pounds and offers a mounting depth of 2 inch. Coming with Prime Drive for enhanced reliability and output and their new 5 Watt LEDs this light has an extraordinary light output. 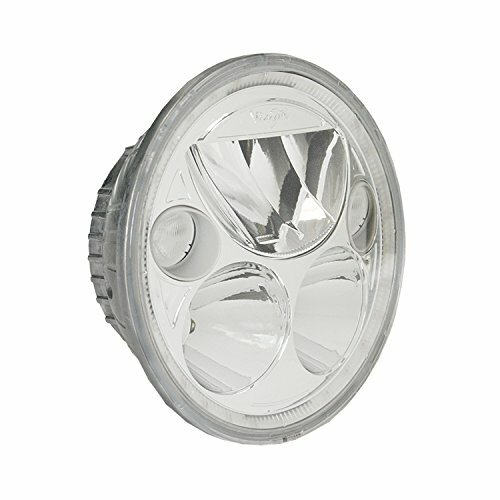 For 10 years now, the halogen headlight bulbs of Vision X have been on the forefront of high output halogen lighting. And the recently introduced lifetime warranty on standard wattage bulbs just places Vision X further in front. Superwhite halogen bulbs are unique in their design and construction. Designed to perfectly replace factory headlight bulbs in every way but one, light output and color and in these areas Vision X bulbs outshine the factory bulbs. Providing a whiter light for driving at night and increasing the light output makes it easier to see at night not only in front of your vehicle but peripherally as well. The Vision X 6.7 inch Cannon CTL-CPZ610KIT features a 50 Watt LED Technology, a spot beam pattern that offers you a focused amount of light with great distance, and black aluminum poly carbonate housing. The CTL-CPZ610KIT comes standard with an extended warranty, harness and multi-volt 9-32V DC input. This light weighs 5.51 pounds and offers a mounting depth of 4.36 inch. 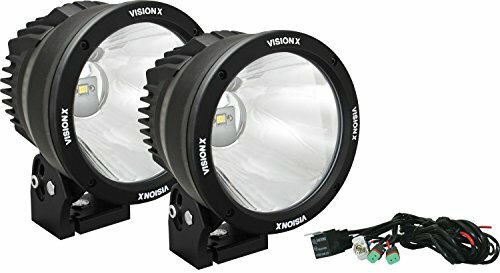 Compare prices on Vision X Lighting at ShoppinGent.com – use promo codes and coupons for best offers and deals. Start smart buying with ShoppinGent.com right now and choose your golden price on every purchase.